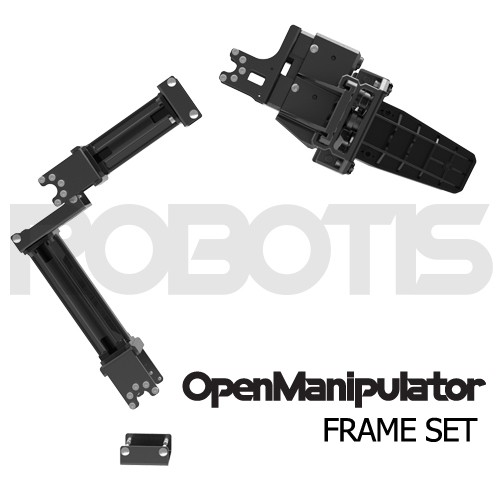 This product is a frame set which can make X430 based OpenManipulator. DYNAMIXEL X430 is not included so you can select a suitable DYNAMIXEL model considering payload. XH430, XM430 and XL430 are all compatible with this frame and can be also mixed. 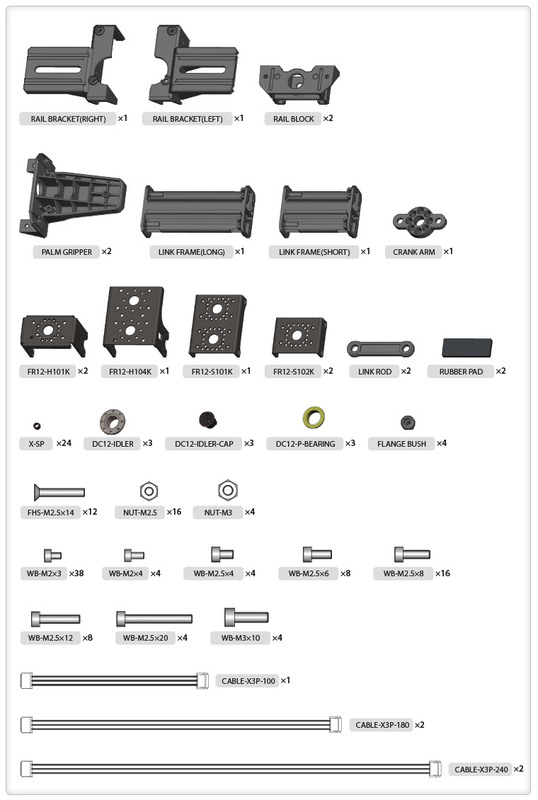 Both the idler set and the assembly tool for hinge frame assembly are all included. You can make an OpenManipulator with your desired specification and can fix it on Base Plate-02 or attach it to TB3 Waffle Pi. XL430 Single-model configuration is not recommended as it might be short of output. When mixing XL430 with XH / XM430, they (XH / XM430) must be TTL communication model. When you use XH430-V-series (24V model), you must configure your OpenManipulator as a single 24V model. AX / MX series, X540 series, and PRO series cannot be used.